Great for everyday use and holiday decorating! Use paper doilies to make original holiday crafts, adorn festive table settings or embellish classrooms and desks. The round paper doilies will make table settings festive, bulletin boards appealing, crafts projects outstanding and card making a blast. Try paper doilies at home and at school. Use for craft projects, cards, window decorations, and much more! Doilies measure 8". Each pack includes 100 doilies. Sold as a pack of 3 for a total of 300 paper doilies total. 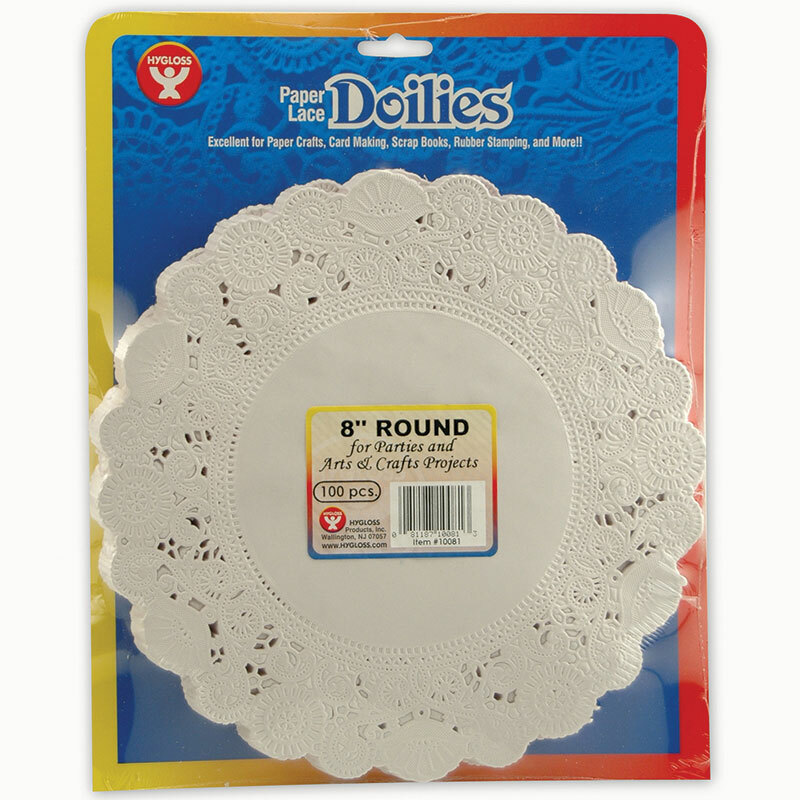 The (3 Pk) Doilies 8 White Round100 Per Pk can be found in our Doilies product category within the Arts & Crafts.